2017 Ford Edge For Sale In Vernon, Kelowna, Okanagan, BC. Unleash your spirit and style in the 2017 Ford Edge as you experience life on the road in with its distinct design and capable power. Through a sleek four-door design and spacious seating for up to five individuals, this vehicle delivers versatility where you need it most. Available trim levels include SE, SEL, Titanium, or the Sport. 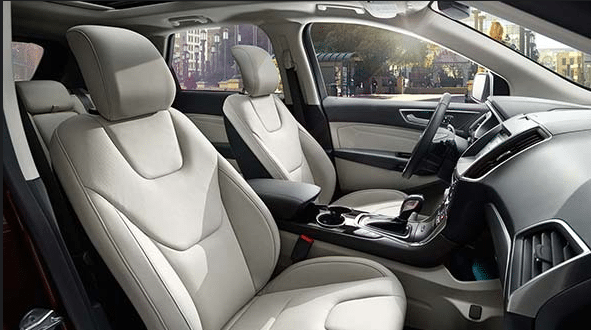 Surround yourself with comfortable amenities and refined details in the 2017 Ford Edge. Convenience is delivered with features such as the Intelligent Access with Push Button Start, giving you cabin and engine access without taking the keys out of your pocket or purse. Customizable comfort is provided through the ergonomic layout and available 10-way power adjustable driver's seat as you enjoy the enhanced sophistication of the available leather-trimmed sport seats with optional heating. Soft-touch surfaces are found throughout as you embrace the available leather-wrapped and heated steering wheel, keeping your hands warm throughout cold winter days. Bring along everything you need and more with the flexibility of the reclining 60/40-split fold-down seats and their ability to accommodate for the moment. 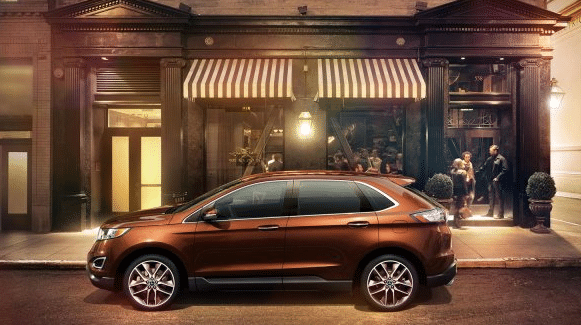 Undeniable style comes forward with the exterior of the 2017 Ford Edge. Through features such as the solar-tinted front door and windshield glass, you are offered the protection and privacy you need as the stunning dual bright exhaust tips and available bright grille catch the attention of all you pass by. Visibility is enhanced with the Bi-Functional Projector-Beam Halogen Headlights, daytime running lights, and LED taillights as you enjoy an ability to see and be seen in a range of outside conditions. Make lasting connections without compromising your safety in the 2017 Ford Edge. Through a series of advanced technological features, you can make calls, listen to music and find your way with peace of mind. Take advantage of the available industry-leading SYNC 3 system as it provides Next Generation Voice-Activated Technology and Bluetooth phone connection capability for hands-free access to your compatible devices. With the optional navigation system, you receive easy to understand directions to a variety of destinations and points of interest. Sony enhances entertainment with the available 12-speaker Audio System as you cruise to the sound of your favourite tracks. Express your personal style with the 2017 Ford Edge and the available Genuine Ford Parts and Accessories that go with it. Increase your awareness through the available bumper mounted warning sensors by Rosen for confident reversing. Through the optional all-weather floor mats and bright illuminated scuff plates, you can increase protection to keep your vehicle looking new. Entertainment is enhanced for rear passengers through the Optional Dual Head Restraint DVD System by INVISION, delivering top-notch entertainment for longer journeys. With three engine options and impressive fuel efficiency, the 2017 Ford Edge presents itself as the answer to each day’s driving challenges. Drive with an increased capability and control with the Intelligent All-Wheel Drive System. Responsive handling gives credit to the 6-Speed Selectshift Automatic Transmission as you take advantage of the race-inspired technology and steering wheel-mounted paddle shifters for a sporty and engaging driving experience. 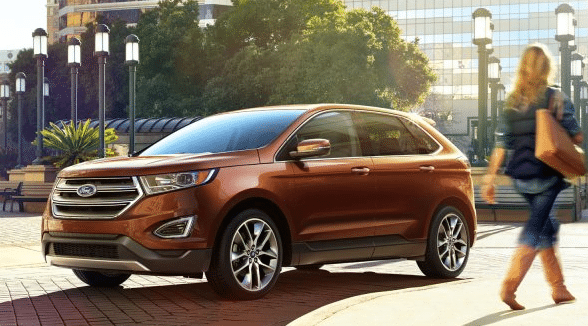 The refined and capable new 2017 Ford Edge has the industry talking for all the right reasons. It is time you experience the technology, features and performance that is generating all the hype about the new Edge crossover! Test drive the 2017 Ford Edge at your local Okanagan Ford Dealer – Watkin Motors Ford. With over 100 years in business, you can trust Watkin Motors in Vernon for all your Ford sales and service needs. Come see our wide-selection of new 2017 Ford models and meet our friendly team at Watkin Motors Ford!